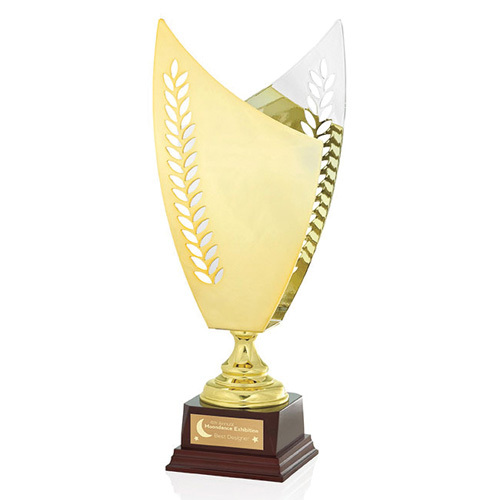 Turning Leaf Trophy This trophy symbolizes turning a new leaf with a gold and silver panel and laurel leaf detailing in each.Perfect for awarding accomplishment. Sits on a wooden base. 6-1/4"w x 16"h x 2"dia.